The original paper by Hirzy et al. (2013) is on-line – full details are Hirzy, J.W., Carton, R.J., Bonanni, C.D., Montanero, C.M., Nagle, M.F. (2013) Comparison of hydrofluorosilicic acid and pharmaceutical sodium fluoride as fluoridating agents—A cost–benefit analysis J Environmental Science and Policy Volume 29, May 2013, Pages 81–86. Briefly the authors had used data (arsenic (As) concentrations in a number of samples of fluorosilicic acid and sodium fluoride) and a model for the predicted incidence of cancers resulting from As contamination in water supplies. Their cost/benefit analysis claimed “the U.S. could save $1 billion to more than $5 billion/year” by using pharmaceutical grade sodium fluoride instead of fluorosilicic acid. 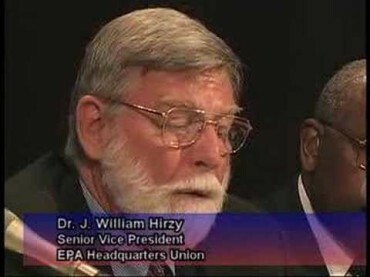 Consequently Hirzy petitioned the EPA to ban use of fluorosilicic acid, using his study as supporting evidence. The EPA responded officially on August 6 and, despite some of the legalese, their notice is worth reading for anyone interested in the fluoridation controversy. 1. Arsenic. EPA evaluated the cost-benefit analysis submitted by the petitioners and determined that the petitioners miscalculated net benefits for pharmaceutical grade NaF compared to HFSA. Specifically, it appears that the petitioners failed to convert their estimates of lifetime cancer risk to estimates of annual cancer risk for the purpose of calculating annual net benefits. This error alone results in a 70-fold overestimation of the number of annual cancer cases due to arsenic. That is, for the analysis in which the petitioners evaluate arsenic concentrations of 0.078 parts per billion (ppb) due to HFSA and 0.00084 ppb due to pharmaceutical grade NaF, the estimated numbers of cancer cases, when corrected, decrease from 320 to 4.6 per year for HFSA and from 3.4 to 0.05 per year for pharmaceutical grade NaF (Refs. 2 and 9). Similarly, for the analysis in which the petitioners evaluate an arsenic concentration of 0.43 ppb due to HFSA and 0.00084 due to pharmaceutical grade NaF, the estimated numbers of cancer cases, when 8 corrected, decrease from 1,800 to 25 per year for HFSA and from 3.4 to 0.05 per year for pharmaceutical grade NaF (Refs. 2 and 9). After making the correction (i.e., annualizing the lifetime cancer risk), and retaining all other assumptions of the petitioners analysis, the analysis actually indicates that the cost-benefit ratio is in favor of using HFSA over pharmaceutical grade NaF (-$81M/year to -$8M/year, respectively) rather than pharmaceutical grade NaF over HFSA (Ref. 9). As a result, the information submitted by petitioners does not support the petitioners’ claim that there are net benefits in switching from HFSA to pharmaceutical grade NaF. Given that the petition is based upon the premise that the benefits of using pharmaceutical grade NaF as a fluoridation agent significantly exceed the costs relative to the use of HFSA as a fluoridation agent, EPA concludes that petitioners have not set forth sufficient facts to establish that HFSA presents or will present an unreasonable risk of injury to health or the environment with respect to arsenic or that it is necessary to initiate a TSCA section 6(a) rulemaking to protect adequately against such risk. 2. Lead. Petitioners assert that HFSA contains lead but provided no data to support this assertion. Petitioners also assert that the use of HFSA in lead-containing water piping systems results in leaching of lead from lead-containing water piping systems into water (Ref. 5), and that when chloramine is used in conjunction with silicofluorides greatly enhanced leaching of lead into water occurs (Ref. 3). . . . . Based on the available evidence, EPA cannot conclude that the use of HFSA, with or without the presence of chloramine, results in enhanced leaching of lead. 4. Radionuclides. Although the petitioners mention “concern” about radionuclides, the petitioners present limited information to support a claim that HFSA presents or will present and unreasonable risk with respect to radionuclides. NSF compiled data from initial and annual monitoring tests for fluoridation products that NSF certified to NSF/ANSI 60 between 2007 and 2011 (216 samples) and between 2000 and 2006 (245 samples). Alpha emitters (type of radioactive decay in which an atomic nucleus emits an alpha particle) were detected in less than 1% of the 216 samples analyzed between 2007 and 2011. The mean (non-detects were estimated at ½ the detection limit) and maximum values were less than the MCL of 15 picoCuries per liter (pCi/L) and were less than the NSF/ANSI 60 SPAC of 1.5 pCi/L (Ref. 15). Beta photon emitters (another type of radioactive decay in which an atomic nucleus emits a beta particle) also were detected in less than 1% of the 216 samples analyzed between 2007 and 2011. The mean (non-detects were estimated at ½ the detection limit) and maximum values were less than the MCL of 4 millirems per year (mrem/y) and were less than the NSF/ANSI 60 SPAC of 0.4 mrem/y (Ref. 15). Radionuclides (alpha or beta) were not detected in any (0%) of the 245 samples analyzed between 2000 and 2006 (Ref. 11). The concentrations reported represent contaminant levels expected when the fluoridation products are dosed into water at the allowable maximum use levels for NSF/ANSI 60- 2012 (see Refs. 14 and 15). NSF notes that lower product use levels would produce proportionately lower contaminant concentrations. Thus, the petition has failed to present facts that establish that HFSA presents or will present an unreasonable risk of injury to health or the environment with respect to radionuclides, or that it is necessary to issue a TSCA section 6 rulemaking to protect health and the environment from such risk. So, it would be nice if anti-fluoridationists would stop using Hirzy’s paper to “prove” that use of fluorosilicic acid causes cancer when used as a fluoridating agent. Or better still, stop promoting the lie that such fluoridating agents contaminate our drinking water with toxic heavy metals and radioactive elements. But, going by past practice I am not going to hold my breath.